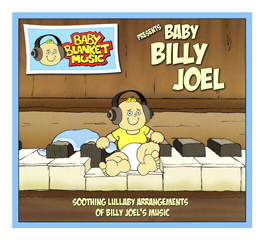 Home » Baby Blanket Music ~ Lullabies Mom and Dad will Love too! What do Billy Joel, Elton John, Simon & Garfunkel and John Mayer have in common? 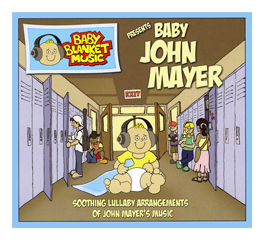 Spanning a couple of decades, hairstyles and musical instruments, they are the musicians featured in the first 4 CD’s of Baby Blanket Music’s new line of children’s lullabies. Created by Josh Rutt, a New York based teacher, composer and performer looking for a new lullaby to be enjoyed by babes and their parents. Rutt has paired the traditional music-box sounds of lullabies with strings, woodwinds, pianos and percussion, creating music that is sure to be enjoyed by babies… and their parents!